These courses feature rolling hills, vineyards, and other scenic vistas as participants run past downtown SLO landmarks and through the rural countryside. The Expo opens on Friday, the 5K and children’s runs will be held on Saturday, and the marathon, marathon relay, and half marathon are on Sunday. Packet pick-up takes place at the Madonna Inn Expo Center.. Visit www.SLOMarathon.com for complete information, including starting times, course descriptions, and entry fees. 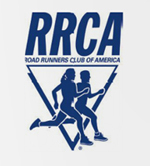 Registration is through raceroster.com. This non-competitive run has distances of 2K, 4K, & 10K and is open to runners and walkers with a limit of one dog per person. The event location is the Vina Robles Winery, 3700 Mill Road, Paso Robles, 93446, and the event will be held rain or shine. The contact number is (805) 239-9326, e-mail info@parks4pups.org, or check the web site at www.parks4pups.org. Proceeds go to benefit Sherwood Dog Park. An early registration fee of $30 includes the walk, jog, or run at the distance of your choice, a dog bandana, goody bag, finisher’s medal, a voucher for lunch, a glass of Vina Robles wine, and an event glass. Walkers or runners without dogs are welcome. The 10K begins at 9:45am and the 2k and 4k will open at 10:00 AM. Please bring only dogs that are well behaved around other dogs and people. All events start at the Edwards Community Center at 809 North Panther Street in Santa Maria. The 10K will begin at 7:30, the 5K run/walk at 8:00, and the kids runs at 9:30. The 5K is a relatively flat out and back course while the 10K continues farther up Bull Canyon and has more hills. All finishers receive a T-shirt and a medal, and medals will be awarded to the top finisher in each age division. Register at www.active.com. This 5K & 10K is organized by the Law Enforcement Torch Run to raise money for the Special Olympics. If you have any questions, contact the race director via email at rgutierrez@sosc.org. There will be no race day registration and the cutoff to register is 5:00 PM on May 16. This is the second in the series of pub runs to be held throughout the spring and summer. There is no registration fee and the runs will be 3-4 miles (untimed). Each run will have a shoe sponsor offering the opportunity to test out their latest footwear and the run will be followed by a raffle and refreshments. Tonight’s run is hosted by Altra and takes place at Quality Suites at 1631 Monterey Street in San Luis Obispo. For more information, e-mail retail@runningwarehouse.com or call (805) 548-2049. These courses are scenic routes through Arroyo Grande with registration, the start, and the finish are at the end of Short Street by the swinging bridge. Proceeds go towards Kiwanis community service projects. Awards are three deep in five year age groups in each of the races along with refreshments and prize drawings. The races are part of the Strawberry Festival that features food, music, and craft booths. Conducted by the Pismo Beach Kiwanis Club, Post Office Box 44, Pismo Beach, 93448, www.strawberrystampede.com. This 5K run is to benefit The Lighthouse Foundation and it will take place at Pomar Junction Vineyard and Winery. The course winds its way along the roads of Templeton and back to the Winery at 5036 South El Pomar in Templeton. There will be a kid’s half mile following the finish of the 5K and a 100 yard dash for ages 6 and under. Enjoy family activities with a bounce house, face painting, and crafts along with raffle prizes, breakfast burritos, and music. The Lighthouse Foundation provides programs for drug and alcohol abuse. The race web site is https://www.lighthouseatascadero.org/benefit-fun-run.html and registration is through www.eventbrite.com. This is the third in a series of pub runs being held throughout the spring and summer. There is no registration fee and the runs will be 3-4 miles (untimed). Each run will have a shoe sponsor offering the opportunity to test out their latest footwear and the run will be followed by a raffle and refreshments. Tonight’s run is hosted by Saucony and takes place at Creeky Tiki, 782 Higuera Street in downtown San Luis Obispo. For information, e-mail retail@runningwarehouse.com or call 548-2049. The Templeton Recreation Department is hosting a 5K Beer Run at Barrel House Brewing Company, located at 3055 Limestone Way, in Paso Robles. The 5K loop course is a timed event and a fundraiser for the Templeton Recreation Department. Walkers, joggers, and strollers are welcome but are asked to line-up at the back to allow the competitive runners clearance. Registration opens at 7:30 AM. and the run starts at 8:00 AM. Pre-registration by June 20 guarantees that participants will receive an event t-shirt. The run includes a beer at the finish and a non-alcoholic beverage option will also be available. Participants will enjoy live entertainment at the Barrel House Amphitheater and food will be available for purchase. Entrants should be 21+ and bring an ID. For more information, go to www.templetonrecfoundation.com or to register, go to www.active.com.